Restore your hair, making it look young and smelling great, with the Aesop Rose Hair & Scalp Moisturizing Masque solution. This hydrating tonic is designed to deeply condition your hair, giving it added volume and leaving it silky smooth. 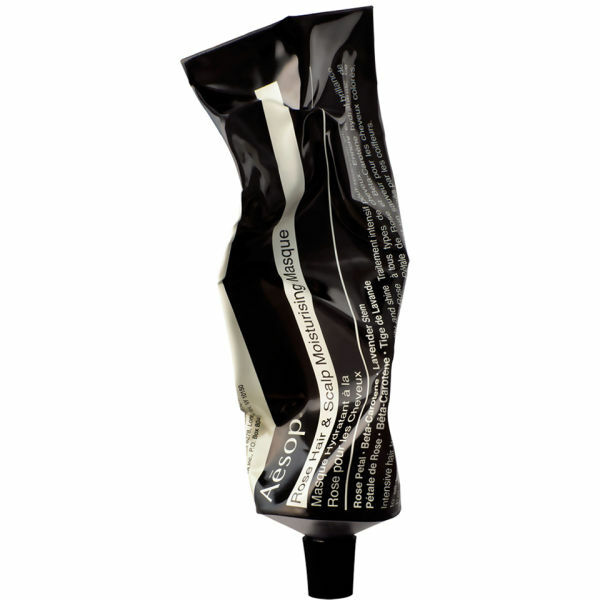 The moisturizing masque is ideal for hair that is brittle and has gone through rigorous treatments at a hair salon. This scalp solution also helps eradicate dry flakes on the scalp, alleviating itching. Key ingredients of this scalp masque include camellia japonica seed oil, beta-carotene, disodium EDTA and sweet almond. 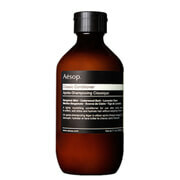 To use this Aesop Rose hair product, apply a small amount to towel-dried hair. Use a wide-toothed comb to evenly distribute it, and after 15 minutes, rinse your hair out with water. this product smells really good , but you need to use enough amount. I use it every two weeks for the hair in the salon. And I do feel the improvement in my hair, it becomes softer and more smooth. And it smells really good, like in a rose garden. Recently got back from a Stag do in Liverpool, thought I would treat the barnet to some TLC! Did not disappoint! Smells really good and really puts back the life into you locks! Very good Product! I bought this product as I'm going a little thin on top and my scalp is prone to feeling tight and itchy after washing. A weekly application of this product protects the hair and scalp leaving hair soft and smooth. A must for anyone with problem hair!